If you prefer watch towers to night clubs, head to Sundarbans. Sundarbans is not your ordinary nature retreat; it is home to the famous species of the big cat – the Royal Bengal tiger – hardly found anywhere else in India, and the rare attractive trees with their roots submerged in water, called the mangroves. Sundarbans are a great choice for those who want to breathe in fresh air in a rural setting, prefer watch towers to nightclubs and believe in going offbeat sometimes. 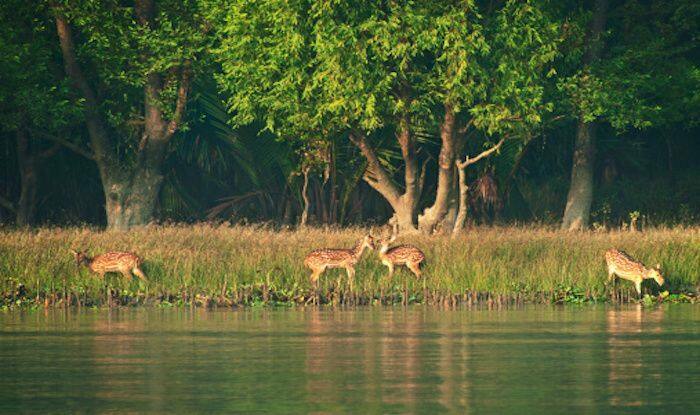 Here’s what you must do when in Sundarbans. Climb the Sudhanyakhali watchtower to spot tigers and axis deer in your vicinity; it’s the most apt place to spot wildlife in all its glory. Also, an added bonus is the gorgeous vista of lush greenery that you can see spreading out for miles before you. Another important one is the Sajnekhali watchtower – along with tigers, you also get to spot crocodiles in live action. Netidhopani if famous for its lake; it’s one of the most picturesque lakes in Sundarbans and is great for some photography. It’s also home to a 400-year-old Shiva Temple, and is a pilgrimage centre of great importance. There’s also a watchtower here, that can accommodate 20 people at once and affords an unbelievable view of wildlife from here. Sundarbans are the most known for its wildlife, and Sundarbans National Park is the collective inventory of the best among flora and fauna. This is where land dissolves into water, and is principally known for its grand reserves for tigers as well as birds. You’ll find around 78 species of mangroves in the forest here; that play a vital role in the survival of marine organisms here. A boat cruise would be the best way to navigate the park. However, if you wish to explore Sundarbans on foot, head to Sajnekhali Bird Sanctuary. The place affords lovely views of Peechkali and Gomti river. The major bird species found here are the Caspian tern, osprey herring gull, spotted billed pelican, open billed stork, white bellied sea eagle, paradise flycatcher, egrets, herons, and the rare winter bird, Asian dowitchers.